Scientists from Nanyang Technological University, Singapore (NTU Singapore) have developed a way for two robots to work in unison to create 3D-printed concrete structure, the University said in a blog post. This type of 3D-printing is referred to as swarm printing and will allow a team of mobile robots to print even larger structures in the future, the blog post stated. The new multi-robot technology was developed by Assistant Professor Pham Quang Cuong and his team at NTU’s Singapore Centre for 3D Printing and was published in Automation in Construction, a journal for civil engineering. The new technique will use a specially formulated cement mix suitable for 3D-printing. It can create unique concrete designs on demand and in a much shorter period, the blog post added. 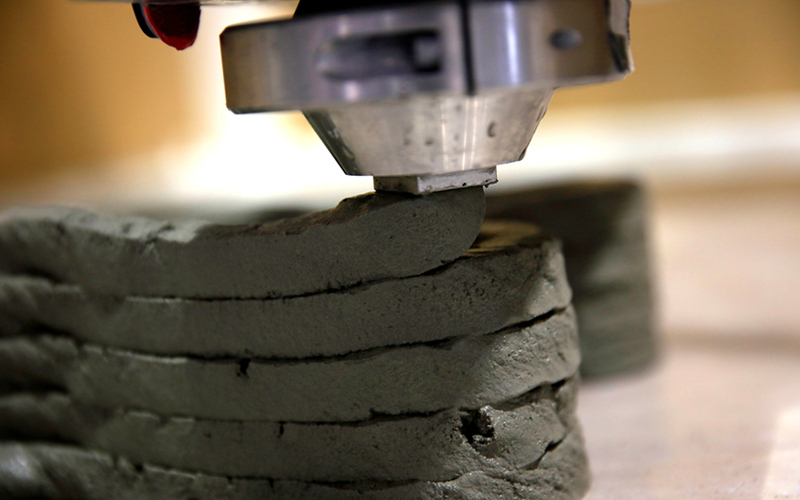 Currently, large concrete structures are developed using printers that are larger than the printed objects. “We envisioned a team of robots which can be transported to a work site, print large pieces of concrete structures and then move on to the next project once the parts have been printed,” said assistant professor Pham from NTU’s School of Mechanical and Aerospace Engineering. In the first step of the multi-phase process, a computer maps out the design to be printed and assigns a robot to print out a specific part. A special algorithm is then used to ensure that the robot arms do not collide with one another during the printing. As the robots print the structure in proper alignment and position, the specialised liquid concrete mix is added to the printing to ensure consistency. Going ahead, the NTU research team will look at using even more robots to print bigger structures, the blog post added.